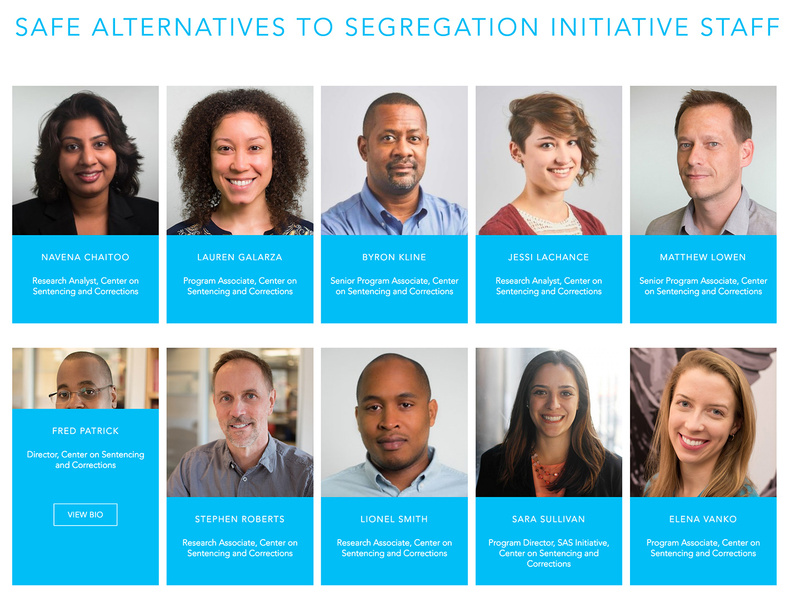 The Safe Alternatives to Segregation (SAS) Initiative of the Center on Sentencing and Corrections (CSC) at the Vera Institute of Justice (Vera) is partnering with five state and local corrections systems to significantly reduce the use of segregated housing (commonly known as solitary confinement) through the advancement of safe and effective alternatives. 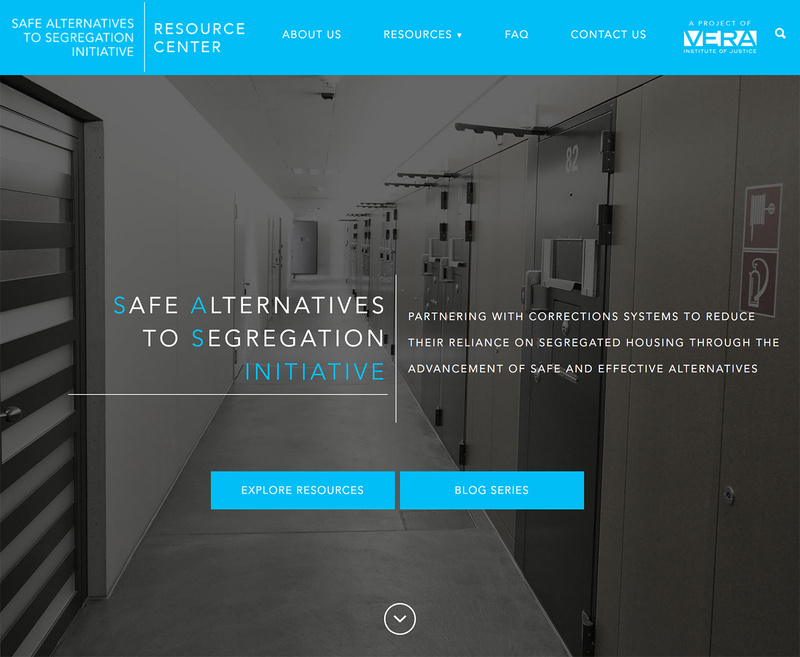 We partnered with the Vera Institute of Justice to give new flexibility to the web platform for the Safe Alternatives to Segregation Resource Center (SASRC). 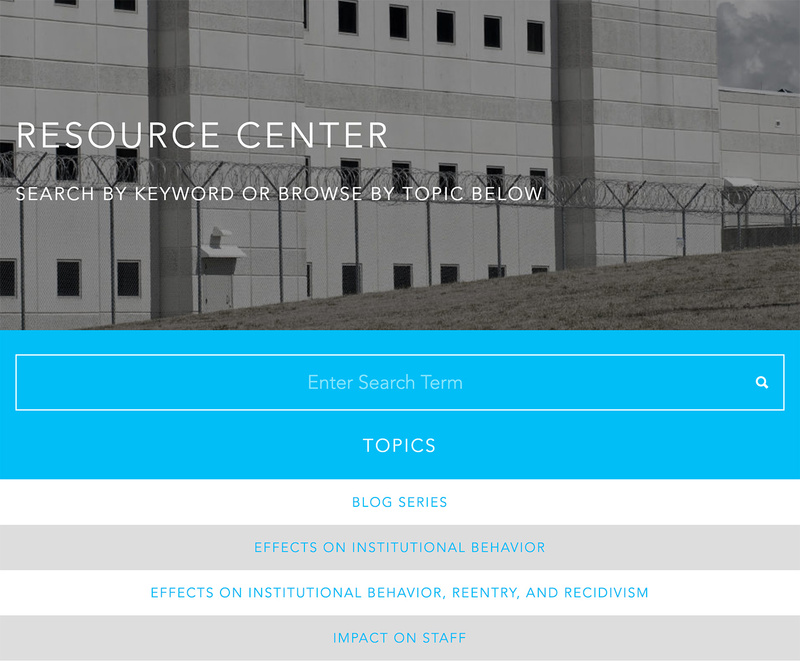 The resource center works with administrators in state and local corrections departments to provide vital documents, webinars, and news updates that will assist in the reduction of segregated housing. 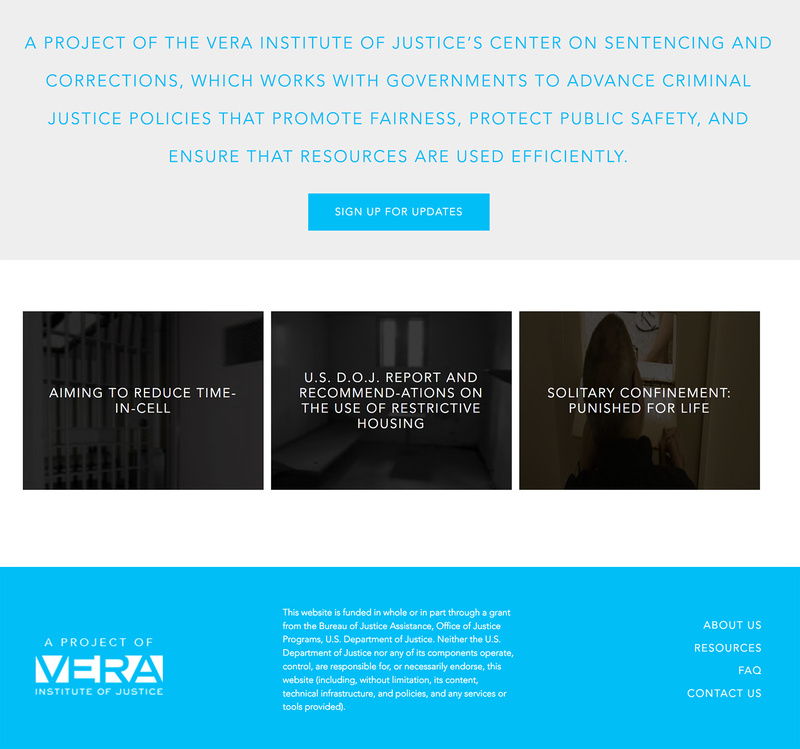 Vera Institute staff needed a CMS that allowed them to quickly post these resources as more and more were published. 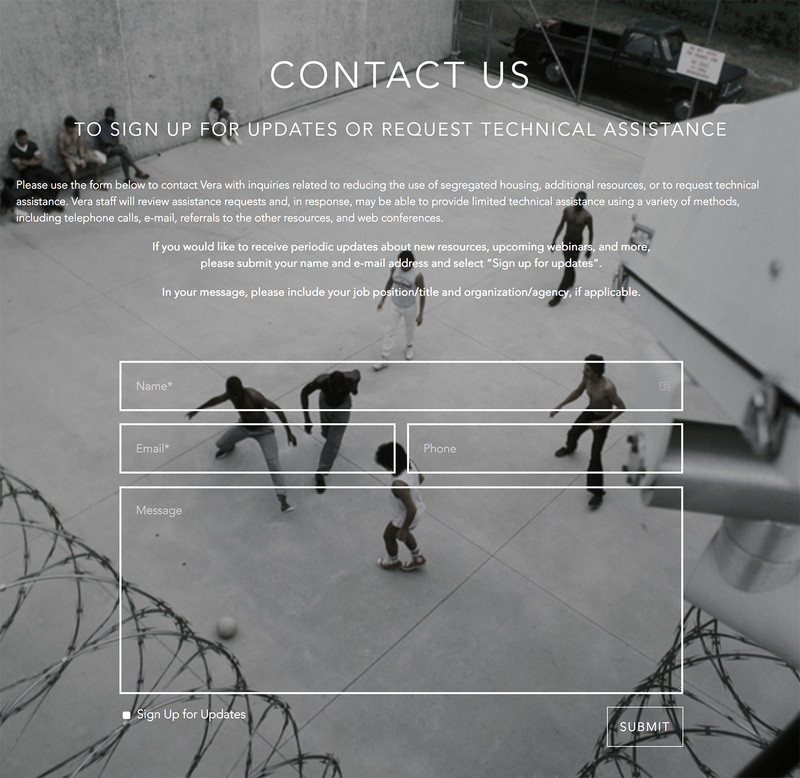 Social Ink created a user-friendly backend for the Vera team using the non-proprietary code of WordPress. We’ll continue to work with the Vera Institute to add more functionality to this new site as the SASRC initiative expands and grows. 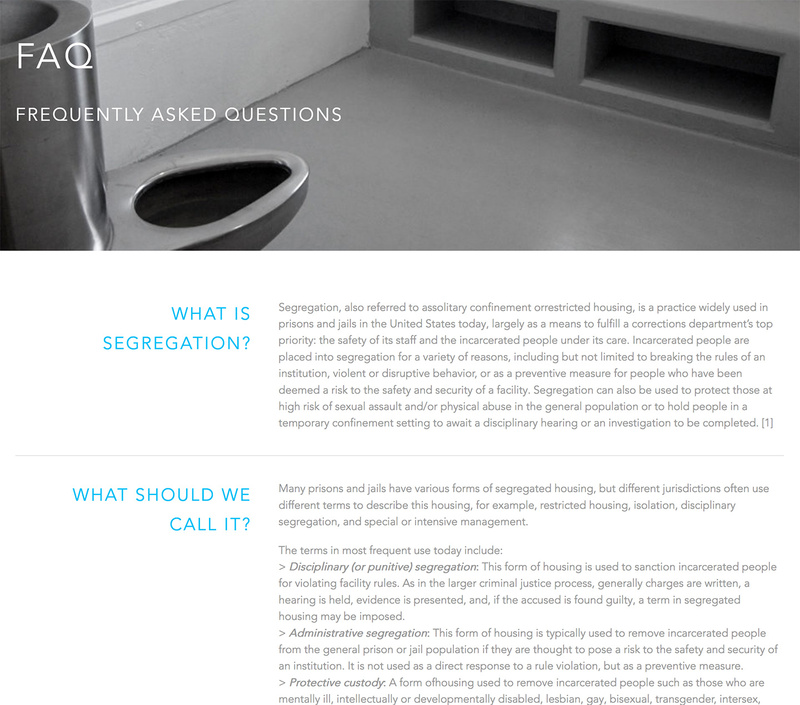 Social Ink is thrilled to help the Vera Institute with this vital online resource and continue our work on websites for nonprofits and foundations.